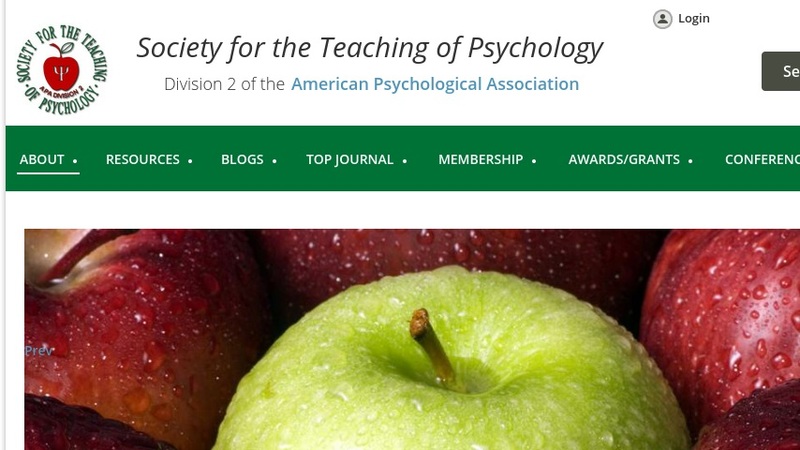 The Society for the Teaching of Psychology (STP) supports and represents those who teach psychology in academic institutions. Their web site provides a plethora of materials for those teaching and studying psychology; those interested in teaching and advising materials would do well to explore the OTRP section of the site (the Office of Teaching Resources in Psychology). The Teaching Resources list in OTRP provides users with a range of material in a variety of topics including International Psychology, Lab Manuals, National Standards for Teaching High School Psychology, Peer Review information and material related to Ethical Issues in Teaching. Also provided is information about the Societies' Journal, and links to several electronic books published by the Society, the full text of which is available at no cost in html, rich text or as a PDF.